Stretch your pennies: Pallet love in! I am having such a love in with pallet usage in the home and garden. I was away on a business trip in Sopot (Poland) and had a bit to eat in the fantastic Thai restaurant, a strange place for my love of pallets to start! Anyhow they had a fantastic room divider that on closer inspection was actually made of pallets. To cut a long story short, since then I have had a slight obsession with them! There is so much you can do with them. 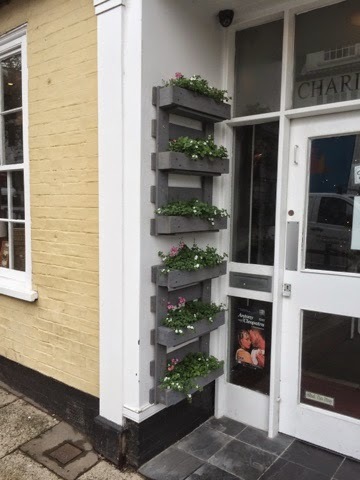 Recently I saw this passing a shop in Norwich (www.sinsins.com) utilising the smaller size of pallets this created a lovely floral display in a small area and thought what a fantastic idea this style would be for a herb garden in a small back garden. I appreciate I might have looked a little weird taking photos of pallets outside shops! My recent research obsessing has involved joining several facebook groups and swooning with love every time I see a fantastic pallet creation. In fact I've been known to pull over at the side of the road to size up a disguarded pallet for my planned creation! My fave website is icreativeideas.com which has really inspired me and I have decided my first project is going to be a garden table. I'm looking out for two really heavy identical pallets. I'm planning on painting in Cuprinol garden shades willow to match some of my other garden stuff. I will be able to pick up some decent casters in a local hardware shop or online. I'm estimating total cost less than £10! 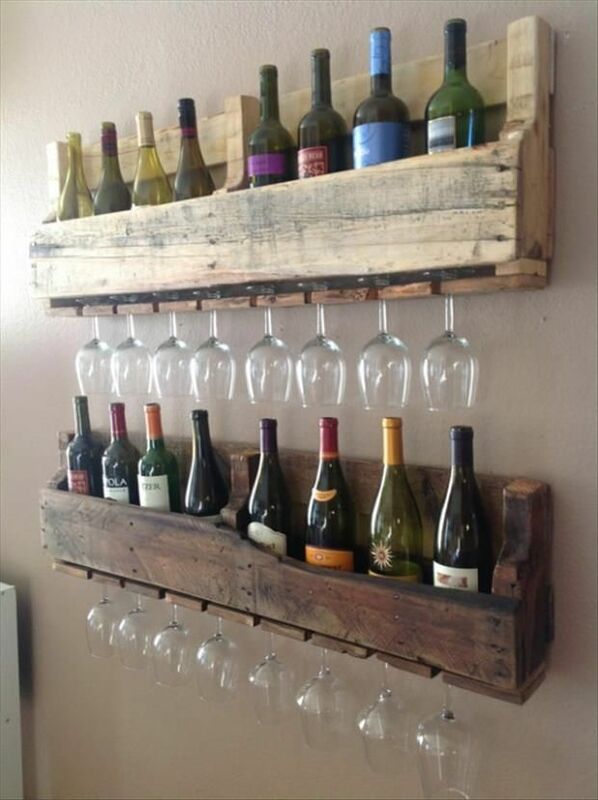 For the wine lovers you have to get a look at this one I have spotted on pinterest. How fantastic is this and with the right tools I'm sure most people could achieve this quite easily. If this is too tricky a simple bottle holder is even easier to create. You could see how the same idea could be used to store books in a kids bedroom or in the bathroom to store toiletries. 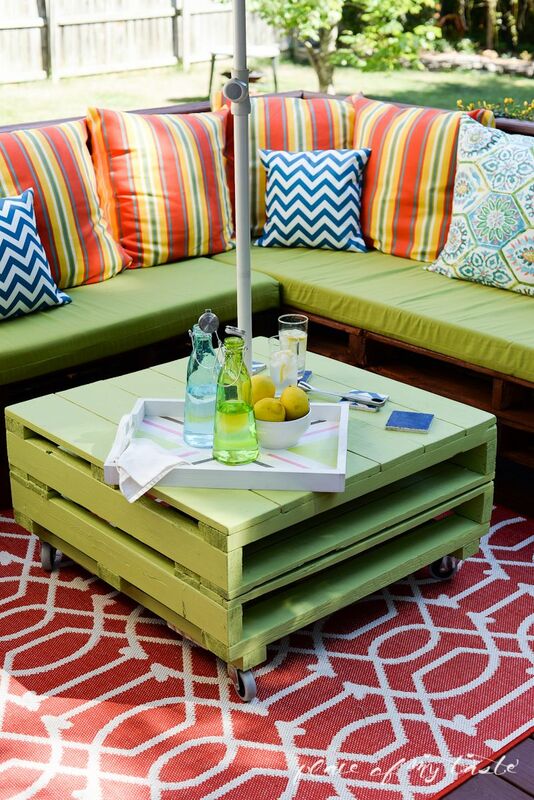 I'm on a mission to find some decent pallets to use for my garden table and would love to know what you have been creating with pallets.